At our April meeting, Karen Strand Dismer submitted a swell binder of photos, newspaper clippings, and written memories of the bakery started by her grandfather Olaf Strand in 1919. 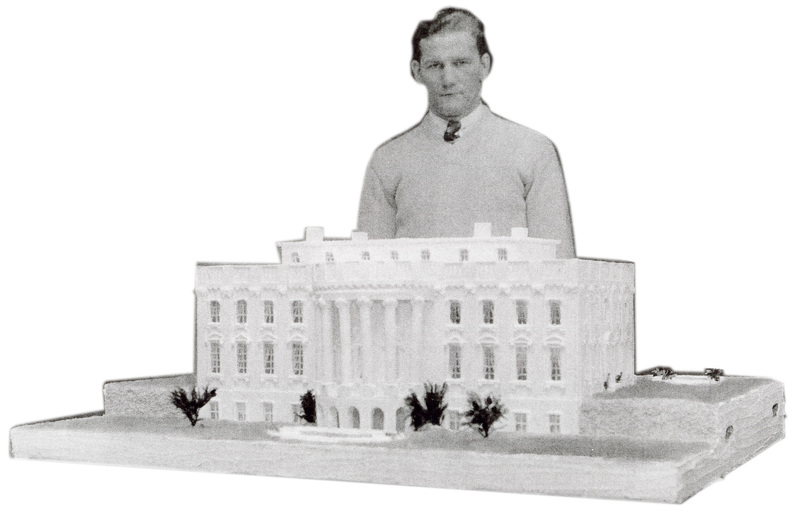 Among the juicy tidbits was the fact that the Strand Bakery created a 100-pound birthday cake for the celebration of President Franklin D. Roosevelt’s birthday on January 30, 1934, as the president was visiting Madison that day. Reidar Strand with the cake he decorated for FDR's birthday in 1934. While Olaf Strand received public credit for the cake, son Reidar was actually the one who decorated it, according the the family. Reidar had been attending baking school in Minnesota when in 1932 he was called home to assist in the family business, since the Great Depression had made it necessary to discharge all the bakery’s paid employees. Olaf’s wife and sons, 19-year-old Reidar and 17-year-old Trygve, worked 14 to 16 hours a day without wages. It was not until 1936 that Reidar received a full week’s pay.